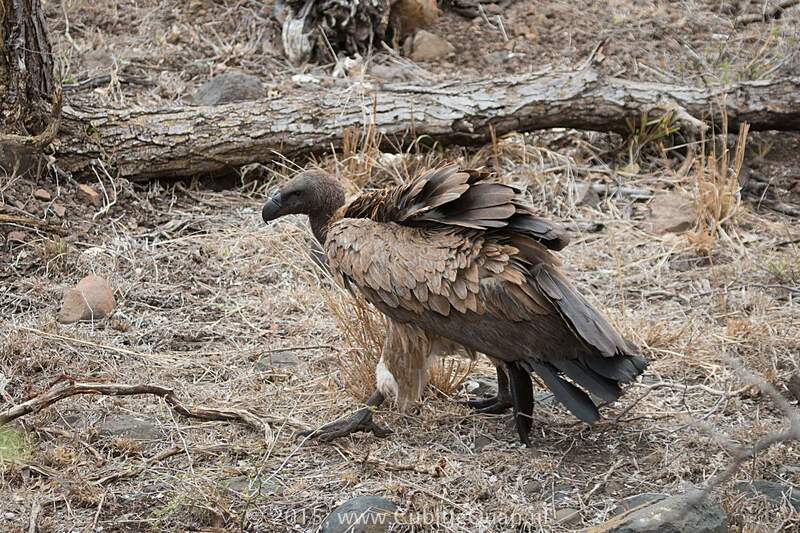 If seen from above, adult has a white lower back that contrasts with the dark upper-wings. 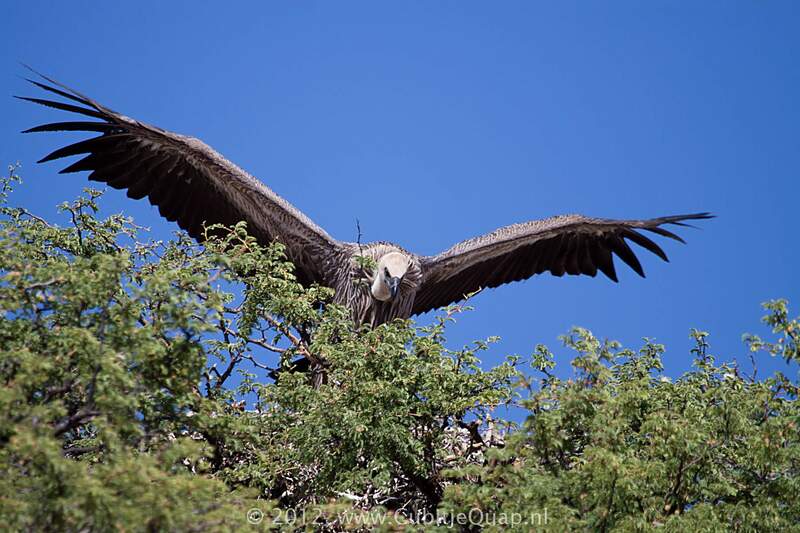 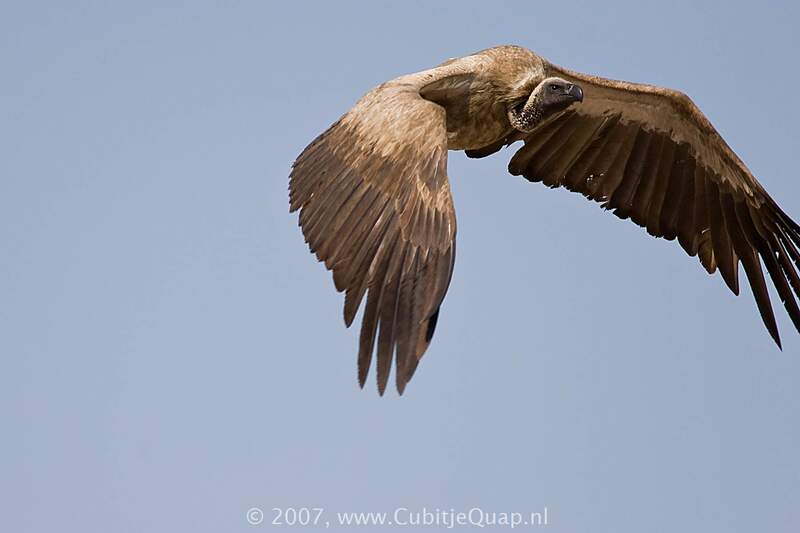 Smaller than Cape Vulture, in flight from below shows a strong contrast between dark flight feathers and whitish underwing coverts (contrast less marked in Cape Vulture). 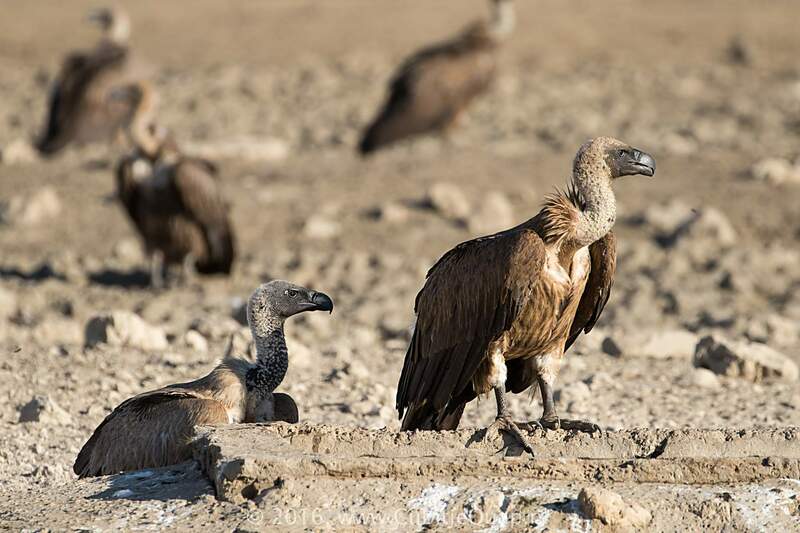 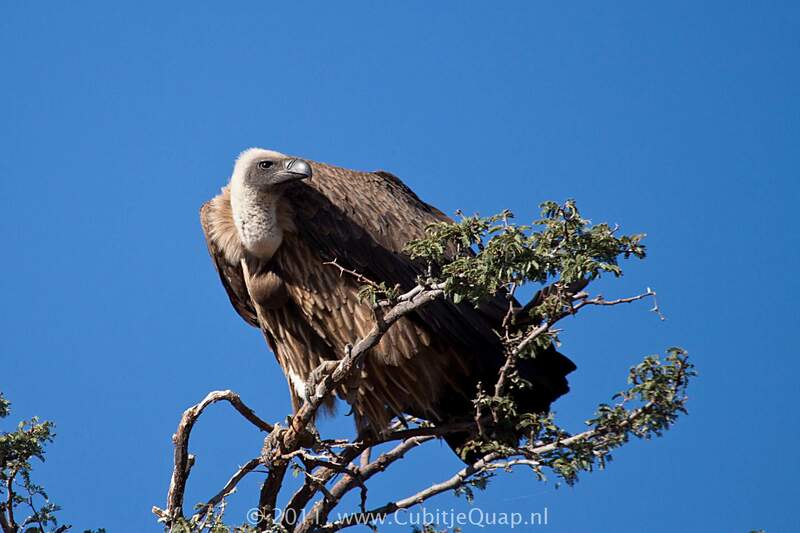 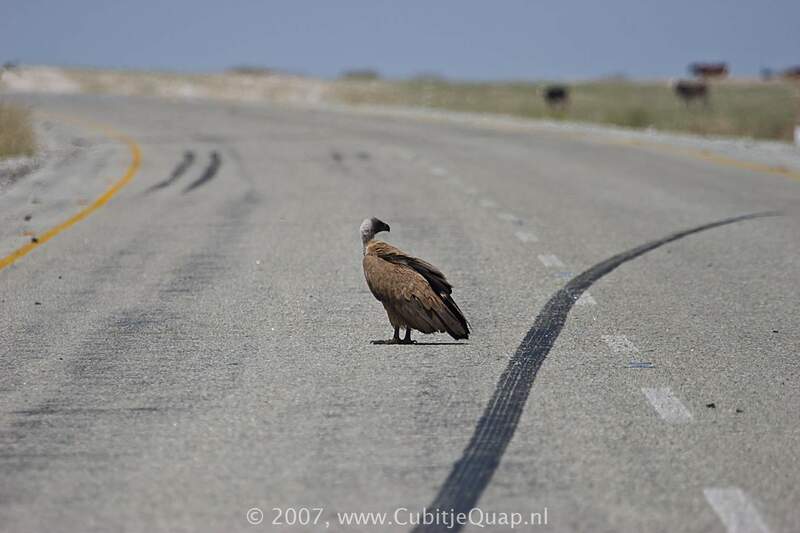 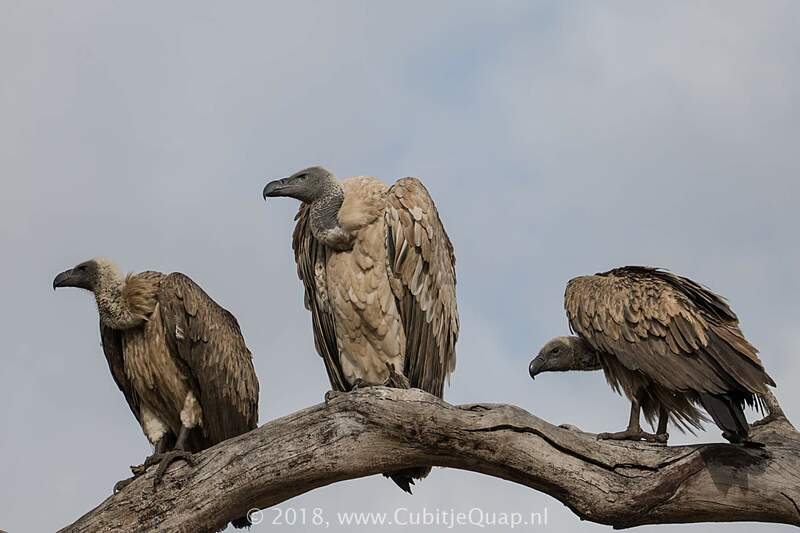 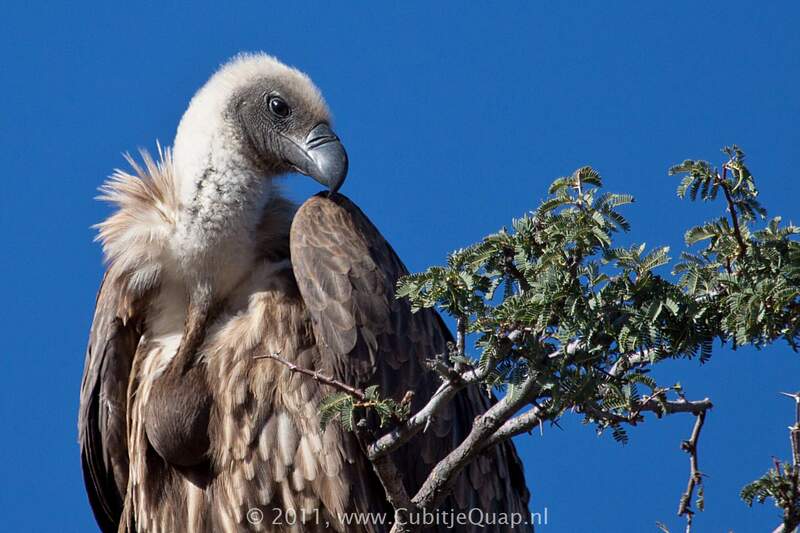 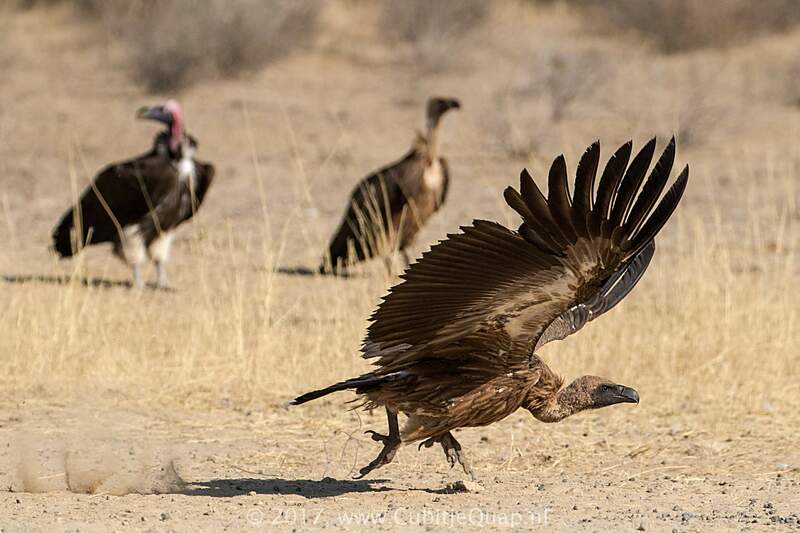 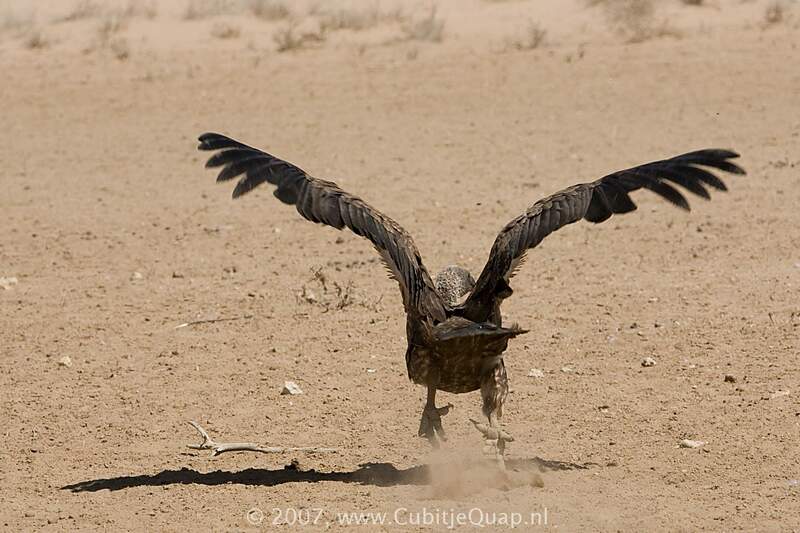 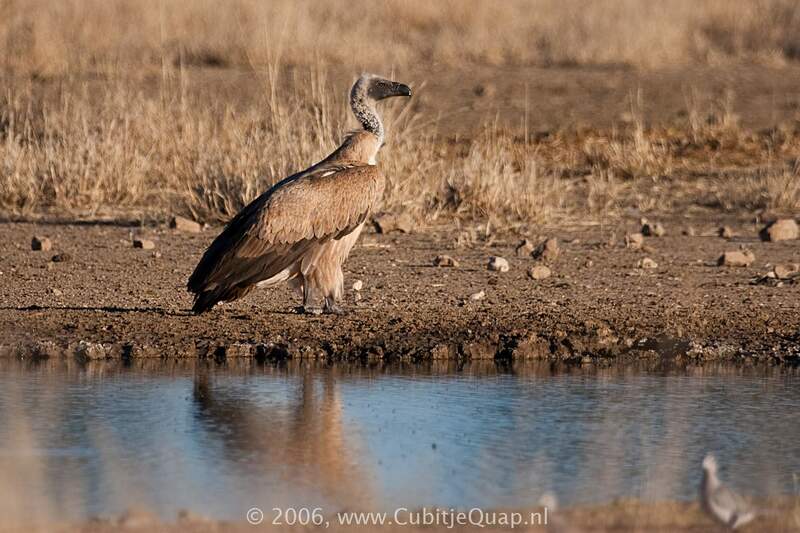 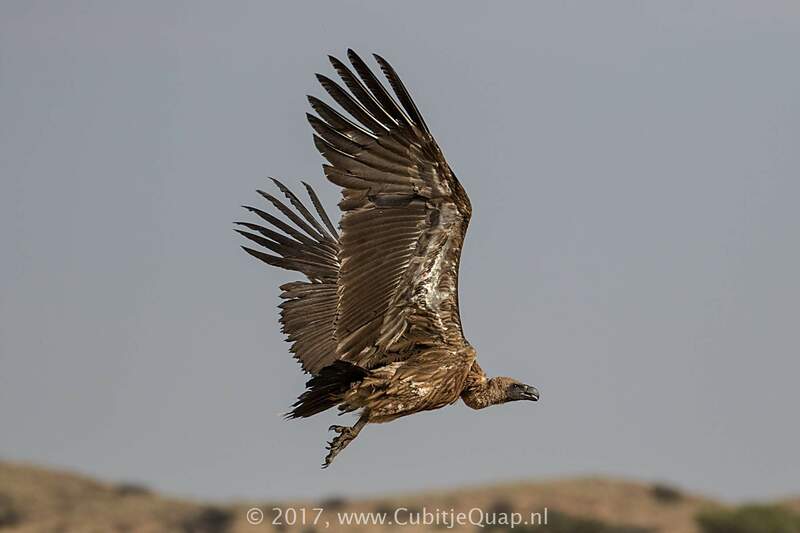 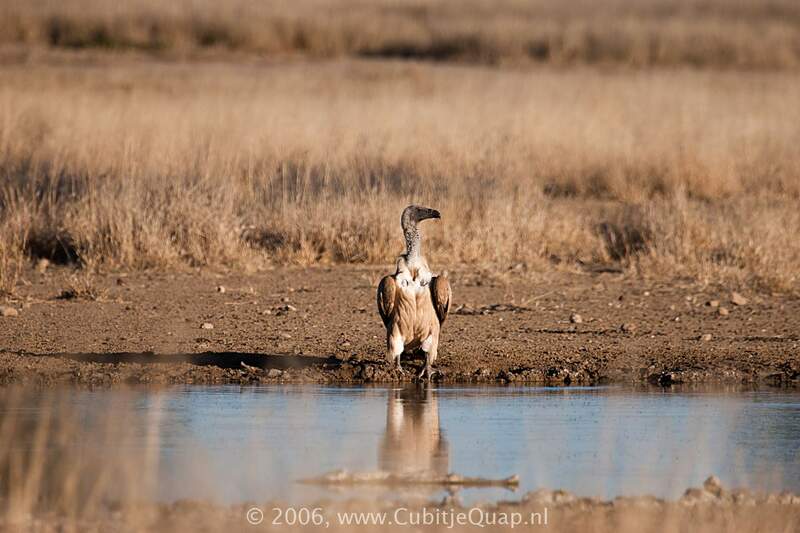 Juvenile's smaller size and dark underwing coverts lines with white differentiate it from juvenile Cape Vulture. 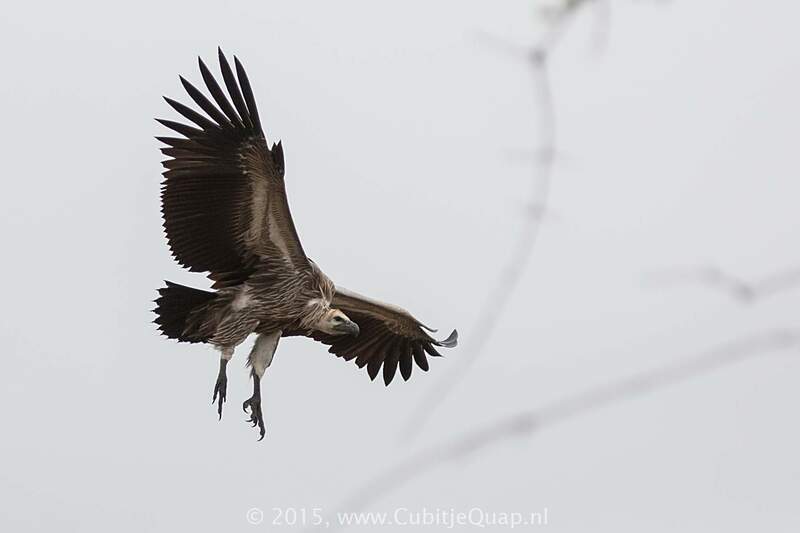 Distinguished from Rüppell's Vulture in flight from below by streaked, not speckled underbody. 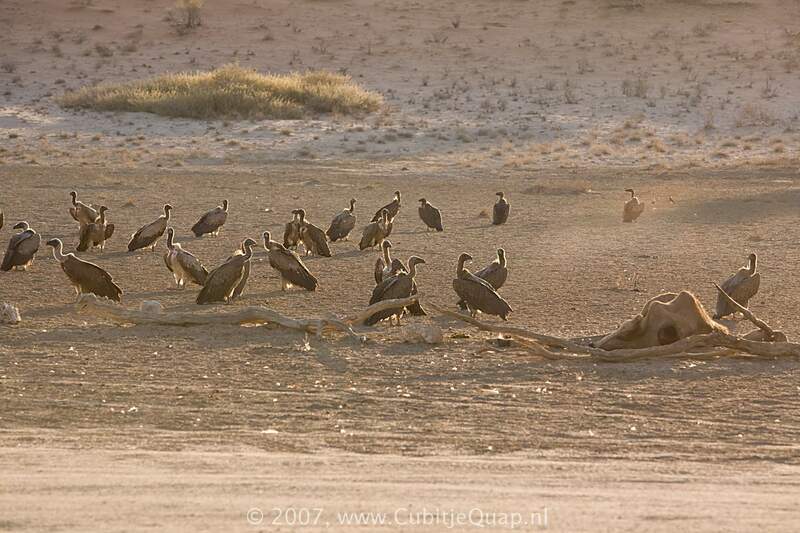 Savanna. 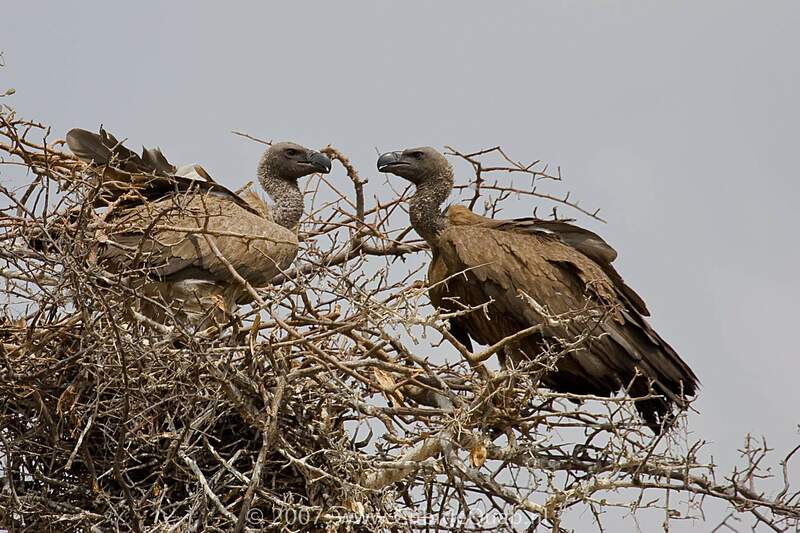 Nests on tree-tops in small colonies. 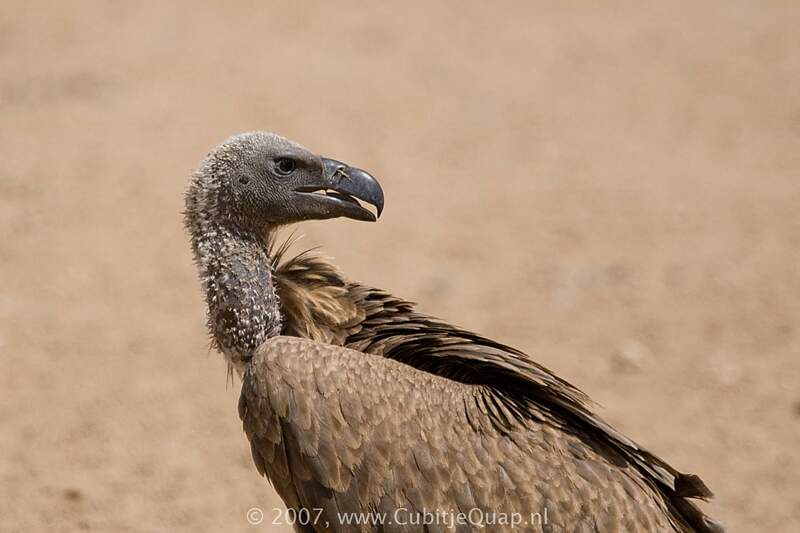 Harsh cackles and hisses when feeding and at the nest.